We present Pt. Parameshwar Hegde – an A Grade Artist of All India Radio and Senior Disciple of Late Pt. Basavaraj Rajguru – Kirana and Gwalior Gharana, one of the greatest musicians of our era. He will be accompanied by Pt. 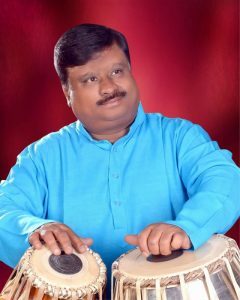 Satish Hampiholli on Tabla and Sri. Surya Upadhyaya on Harmonium.